Toyota unveiled a new robot yesterday, with company president Katsuaki Watanabe declaring, “We want to create robots that are useful for people in everyday life,” before a crowd of reporters. 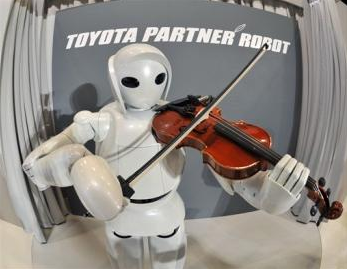 Uh, which explains why this robot can play “Pomp and Circumstance” on the violin?!? Very useful, Toyota. Very useful, indeed.